In the context of business, life insurance is often considered as a necessary expense, especially to protect key persons in an organization. That creates great temptation to just look for the option that offers adequate coverage at the cheapest price. 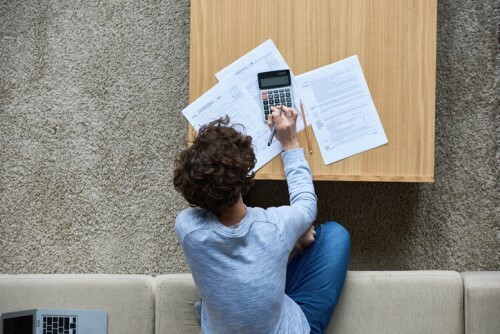 But as a white paper from Sun Life Assurance Company of Canada points out, there are certain situations where more costly policies provide greater financial upside. “CPAs can deliver significant value to their clients by seeing the opportunity the insurance offers as a tax-efficient asset,” wrote the authors of Bolstering the Balance Sheet. As an example, the authors first consider when a client takes out a 10-year loan to expand his business. To cover the liability in case of an unexpected death, the client is advised to take on some life insurance; a 10-year term policy might be the easiest recommendation on the basis of low cost relative to other options. But the authors point out that permanent life insurance can enhance the value of the business. Aside from accumulating cash value over its lifetime, the right policy can offer a tax-free payout to beneficiaries at death. Certain insurance products also offer significantly early cash value that is easily accessible for growth opportunities. Of course, not every business owner is eligible for this type of coverage. They must satisfy certain criteria such as a justifiable death-benefit need — to fund a terminal tax liability, for example — the ability to afford the coverage, and good enough health to meet insurance companies’ underwriting requirements. In cases where the business owner client has to cover a permanent liability, the authors continued, the benefits of permanent insurance become clearer. A cash accumulation fund, which permanent insurance can offer, creates an opportunity for tax-sheltered investment; that applies even at death when the insurance benefit is paid out. Certain policies may also be used as collateral in cases where a loan is needed for extra liquidity. “Transferring funds in a corporation from taxable investments to a permanent life insurance policy can help reduce annual taxable investment income,” the paper said. Upon the insured’s death, the tax-free benefit is paid to the designated corporate beneficiary; that amount, less the policy’s adjusted cost basis, can then be credited to the corporation’s capital dividend account (CDA), which is a way for corporate beneficiaries to transfer money from the corporation to their estate or new shareholders. Should the death benefit exceed the CDA credit, the excess amount can be paid out as a taxable dividend.